Saving food with this machine = Good. Saving a hamster with this machine = Bad. Reduce Waste & Save Money : Buy in bulk and see all the savings, it keeps food fresh up to 8x longer by safely sealing and freezing meats, leftovers, and everyday items. 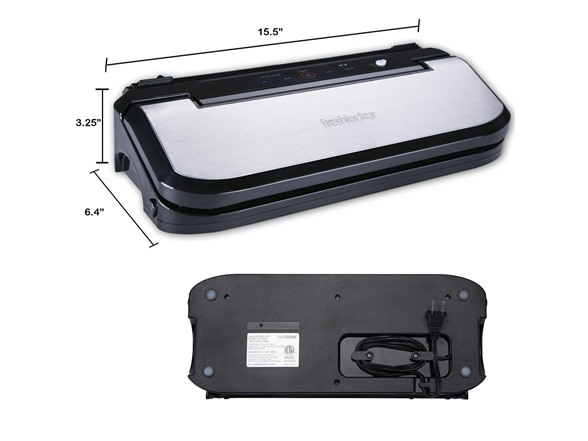 Keeps your dry and moist foods fresh, and preventing freezer burn on frozen fruits and vegetables. 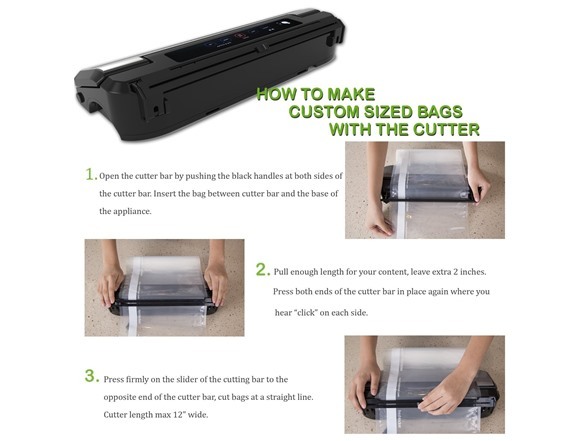 Convenient Cutting : Build-in cutter machine and removable drip tray to conveniently cut the roll bags . 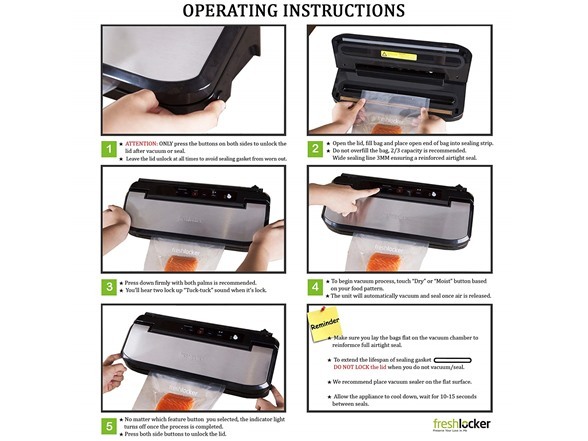 The cutter machine can cut out the size of the bag you want and reduce the waste of the bag. Pulse Function to Prevent Crushing Foods : Package your delicate food like cookies, fruits and cheese not requiring a full tight vacuum seal. 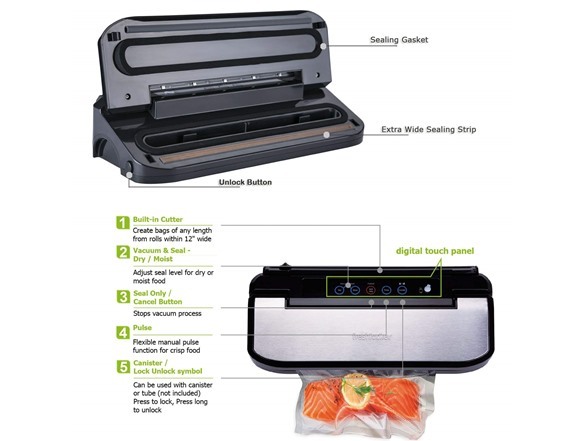 Easy to Use : Automatic Vacuum seal, Seal Only , gentle mode for moist/juicy foods and normal for dry foods. Extra vacuum hole on the top of the machine for vacuuming canisters. Save Money: Preserve valuable items by sealing bags with jewelry, coins, and other small artifacts as well as paintings and documents, protecting them from moisture and excessive exposure to air. Multifunction Feature: 3 Modes - Automatic Vacuum seal items with custom speed settings, gentle mode for moist/juicy foods, and normal for dry foods. LED light indicator shows status of sealer. 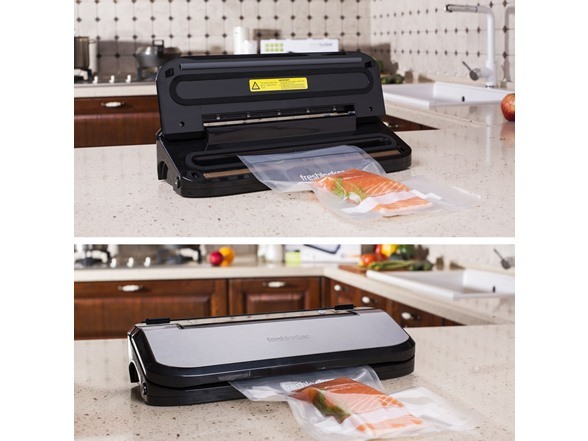 Starter kit includes: Freshlocker vacuum sealer, 1 Roll 8"x 10ft, 1 Roll 11"x 10ft, 5 Bags (Quart 8"x 12"), 5 Bags (Gallon 11"x 16"). All kinds being reusable and waterproof, Safety with FDA Approved and BPA Free. 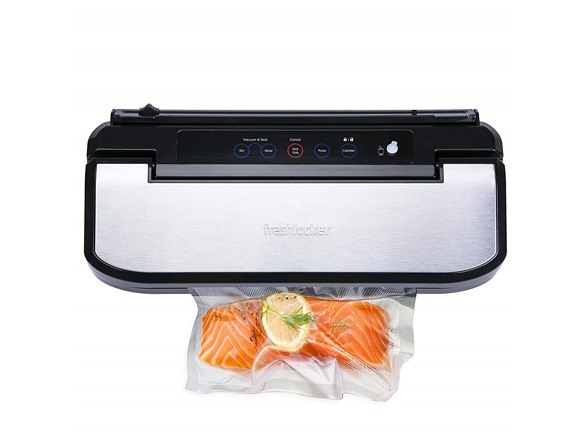 Freshlocker Vacuum Sealing Systems are engineered to work best with Freshlocker bags and rolls. 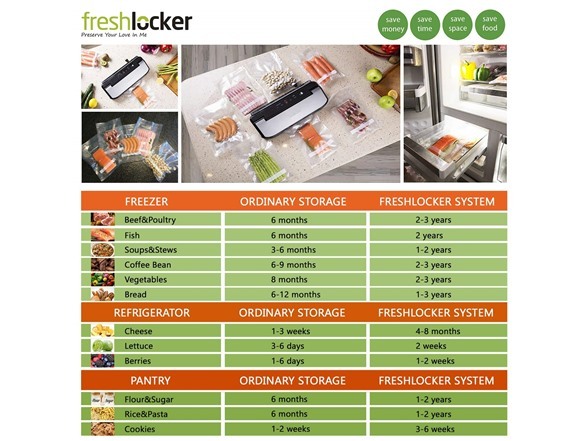 (1) Freshlocker Roll 8” x 10ft. (1) Freshlocker Roll 11” x 10ft. (5) Freshlocker Bag (Quart 8" x 12"). 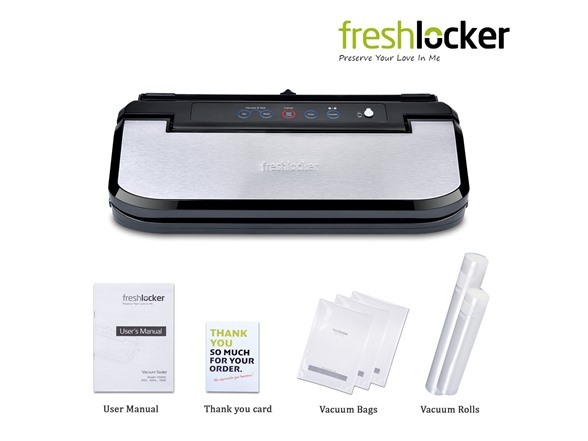 (5) Freshlocker Bag (Gallon 11" x 16").